During the last year, I have been invited several times to participate in a group of volunteers that read picture books for children in different languages. 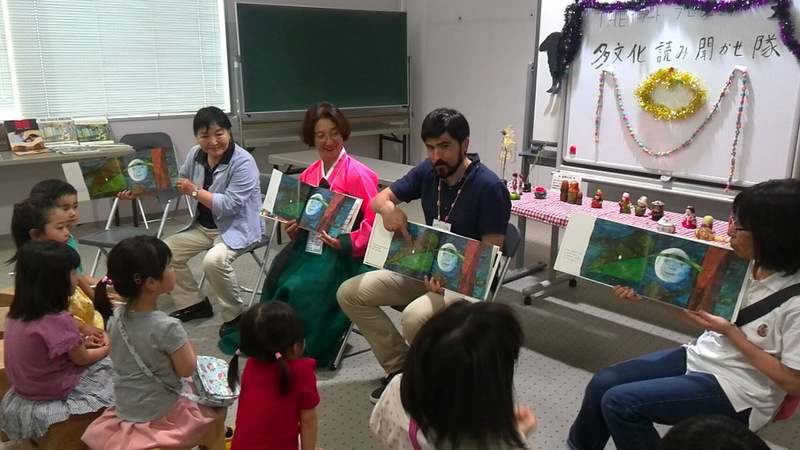 This kind of groups, called dantai in Japanese (団体), are very common in Japan. If you want to participate in one you just need to ask at your closest cultural/community centre (search for 文化センター,市民センター,コミュニティセンター, or 区民センター). One of the books that we read very often is "The very hungry caterpillar". The title is translated as "La oruga muy hambrienta" in Spanish and "Harapeko aomushi" in Japanese. We also read other books including my own. 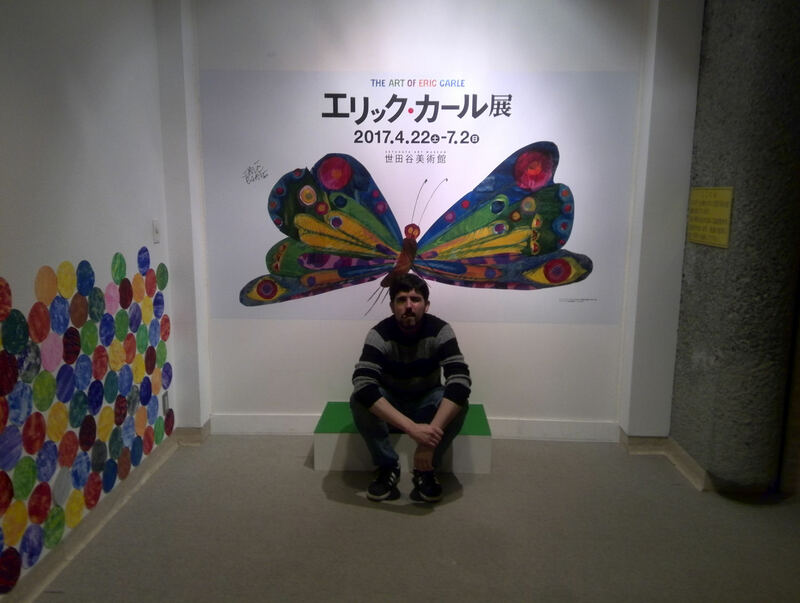 A month ago I went to see an exhibition of the author of "The very hungry caterpillar", Eric Carle, at the Setagaya art museum. Eric Carle's paintings were really interesting from the technical side as well. Many of them were a collage of pieces of semi-transparent textured paper painted with acrylic colours.